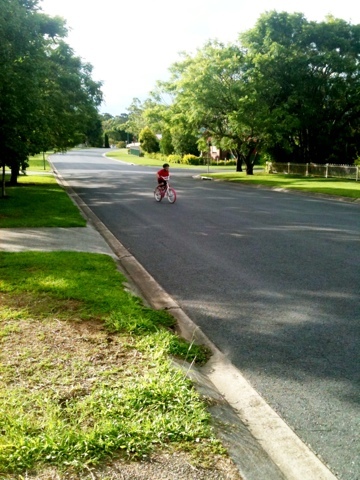 My darling daughter started riding her bike and we are all proud of her. It was a present from 2 xmas’s ago and finally she wants to ride it. Her big brother was the one to teach her and give her the encouragement she needed.